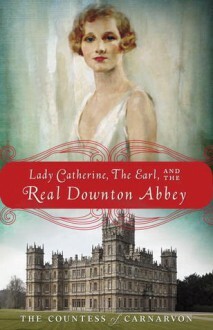 Lady Catherine, the Earl, and the Real Downton Abbey, a transporting companion piece to the New York Times bestseller Lady Almina and the Real Downton Abbey, tells the story of Catherine Wendell, the beautiful and spirited American woman who married Lady Almina’s son, the man who would become the 6th Earl of Carnarvon. The couple presided over Highclere Castle, the grand estate that serves as the central character for the hit PBS show Downton Abbey. Following the First World War, many of the great houses of England faded as their owners fortunes declined in the new political and social world of the 1920s and 1930s. As the nations of Europe inched towards war, Highclere’s survival as the family home of the Carnarvons was again in the balance. Using copious materials—including diaries and scrapbooks—from the castle’s archives, the current Countess of Carnarvon brings alive a very modern story in a beautiful and fabled setting, paying particular attention to the staff who offer the Castle continuity between generations.